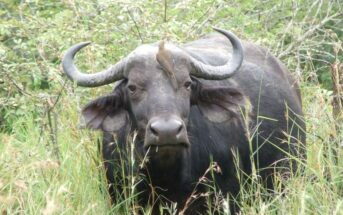 Hiking, climbing, bird watching, game viewing and ancient rock art are what the majority of visitors head into the Ukhahlamba Drakensberg Mountains World Heritage site for. Now add food, or more precise gourmet fine dining to the list. And of course this activity can be combined with all activities available in the mountains. In fact it is a near perfect accompaniment to any mountain activity. 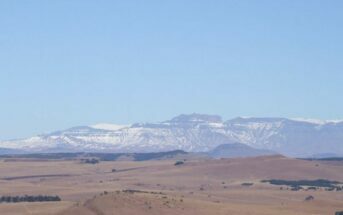 In a valley in the Central Drakensberg looking up onto Highmoor Reserve, and under the watchful eye of a mountain, named after a legendary Egyptian Queen. You will find Cleopatra Mountain Farmhouse. A farmhouse fast becoming legendary for its food. And that legendary reputation is spreading well beyond not only Kwa Zulu Natal, but South Africa. Amongst the guests we met were an English couple returning for their second visit and a Belgium couple on their first visit. The later couple celebrating their racing pigeon’s success in Sun City! As soon as we had parked we were greeted by Leza with hot lemon juice and towels to refresh us after our journey. Then after checking in it was time to be shown to our room. The farm has a reputation for food but what is also apparent is attention to detail in the décor. Our room, the Darjeeling, was full of details that seemed to all relate to food. Ornate plates mounted on the bedroom wall, gravy boats and salt cellars in the bathroom. The farm is set in 500 acres and there are several walks to be enjoyed between meals. We opted to stroll beyond the river and up towards Highmoor to get a view back down onto the farm. The scenery, like the whole of the Drakensberg, is breath taking. We looked down from our vantage point and our thoughts were now on dinner. After ordering our wine from the cellar, Philipa our host for the evening, gathered all the guests into the lounge. Here she opened by telling the story of how Cleopatra gained its name. (I will leave her to tell you the story when you visit) Then came the moment all were waiting for. The unveiling of the evenings menu. Philipa not only read the menu from the chalk board, she told us from where ingredients had been sourced, how it had been prepared and finally how it was to be cooked. I must point out at this moment, that I am not a food critic. So how can I fully get across to you the wonderful, sautéed red onion encased in a caramel puff pastry on a reduction of pecorino and chive? Let alone the rich deep flavours of the main course. A rillette of confit duck on a baked potato cake on a bed of creamed spinach, with a fresh orange, date & lemon jus. Served with steamed butternut & tangy feta. I should simply say that my wife and I are food lovers but not experts. So even rewriting each of the seven courses would merely tell you what we ate. It would not tell the complete story of what can best be described as an experience through food. Where the location, atmosphere, service, and incredible flavours will take you on a journey. 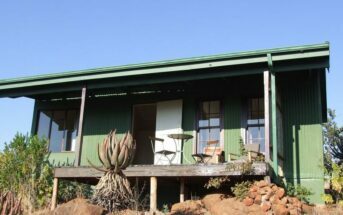 Like the story of Cleopatra you need to visit this Drakensberg mountain farmhouse, and let the ‘staff’ tell you a story. A story that will engulf your senses.